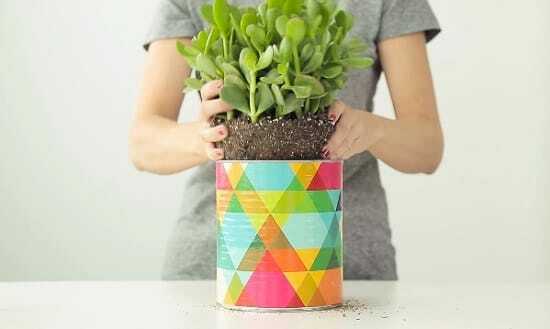 Make use of your empty tin cans to grow plants in this DIY Tin Can Planter tutorial! 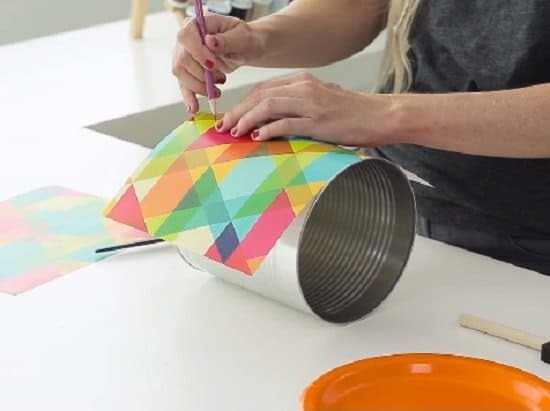 Wrap the decorative paper on a tin can and mark the extra paper from the bottom. 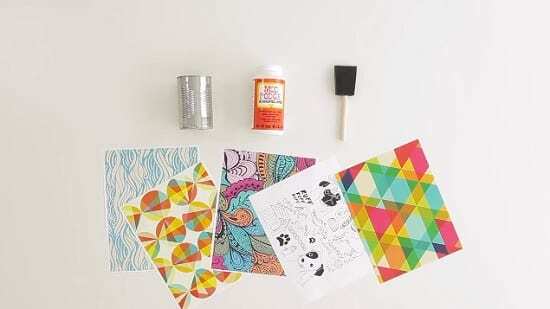 Avoid the step if the paper is fitting well. 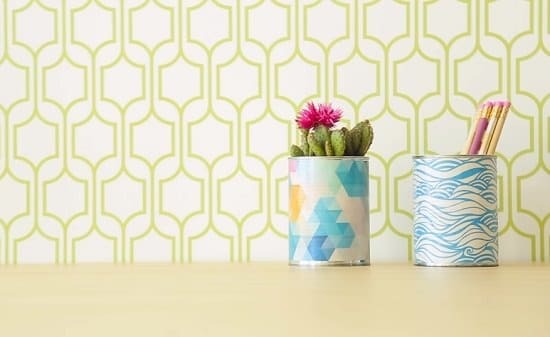 Now use a pair of scissors to cut out the extra part that you marked in the previous step. Try to make it as straight as possible because edgy ends can make your planter unstable. 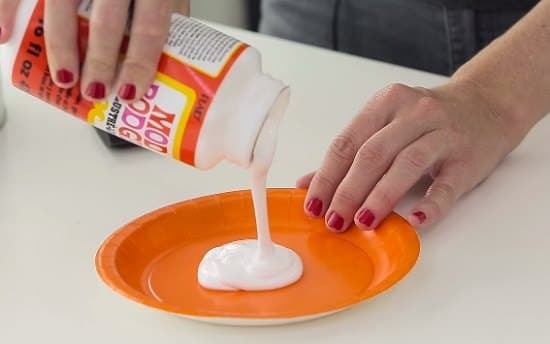 Pour the required amount of mod podge in a dish so that you have easy access to the adhesive. 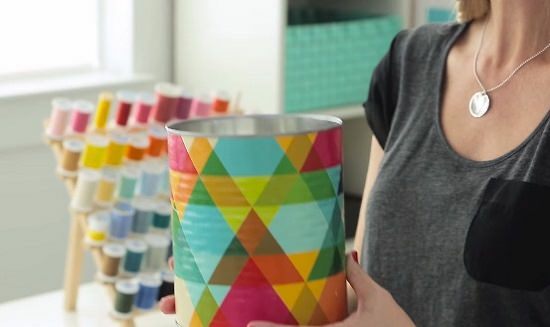 Use a foam brush to add a thin layer of mod podge all over your tin can. 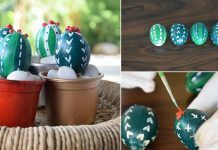 Make sure that you don’t add glue over the rim of the tin or at the base. 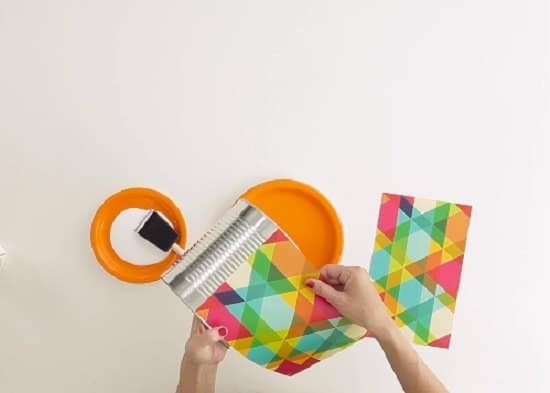 The moment you apply the glue, start wrapping the paper around your can so that the adhesive doesn’t get dry. 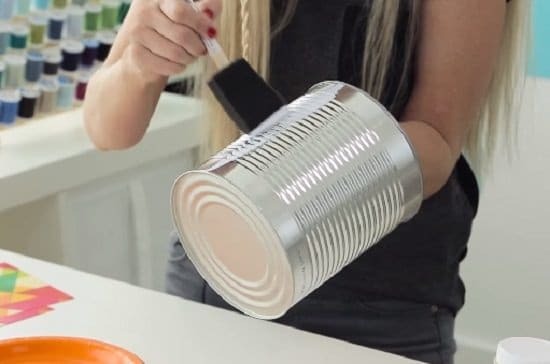 Likewise, cover the whole tin can with the paper! 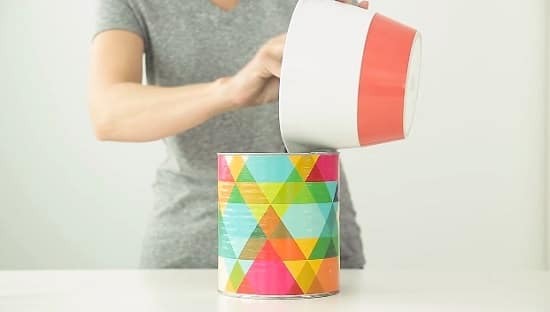 Once you complete wrapping the can, let it sit for some time to allow it to become dry and firm. After it dries, add some gravel to the base to ensure drainage. If you don’t have gravels, then drill a hole at the bottom of the can. Next, add in the soil. 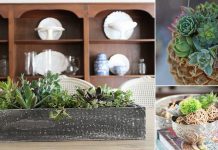 Finish off the project by potting in the plant you like! 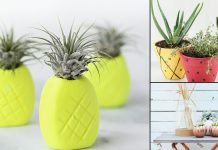 That’s it; you have a brand new centerpiece to flaunt your creativity.